Well, as you all might know, accounting or accountancy for the matter is the subject that deals with the calculation, processing and dissemination of all kinds of monetary information pertaining to any company. No company and no business can be successful without the authentic accounting procedure. If you own business, then it’s pretty much obvious that you won’t be able to see to every nook and corner of the business but will appoint people to do the same. Now, in such cases, the financial information is extremely important. How is financial information or accounting important? When you run a business, apart from your products and services, the main thing to keep in mind is the financial information. 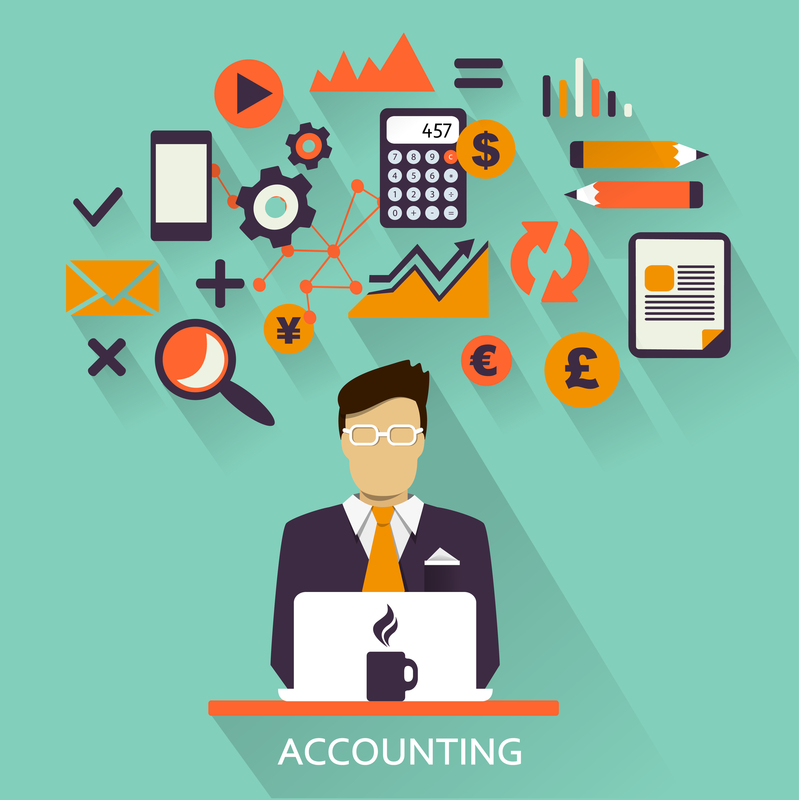 Accounting is required in every sphere of business. You might need accounting to check whether the products stated are actually present or not and to check whether all information given to you is authentic or not. Again, since Economics is all about production, distribution and consumption of goods, Accounting is the key factor which goes to make entire economic cycle possible. How does accounting of a company benefit everyone? The accounting procedure of a company is useful to not just the people involved in the business but the investors and other people who wish to collaborate with the company too. A company’s real place is decided by the financial information it provides. This financial information is useful because it is based on this very financial information that the economics can make a change in the company if needed and accelerate the current procedures if no change is required. Accounting is what reveals the real condition of the company to the economists. Why is Auditing an important part of the Accounting cycle? Accounting has many parts. The first part is the authentic keeping of financial records of the company; the second part is summarizing of the entire records so as to make it legible to outsiders who wish to see your financial calculations. The third part is when financial information is passed on to outside firms who are willing to invest in business. The last and the most important part is Auditing where the outside firms check whether the financial information passed on to them is true or not. This is an extremely important step because this is where most companies who think fraudulent tricks can get them investors are brought out in the open. Why would you need Accountancy homework help? Now, with you have seen the kind of serious issues that accounting deals with, you also must know the importance of your authentic calculation in Accountancy. Being a little calculative and logic-based, it might initially be a little tough to grasp but becomes easy in the long run when you completely understand the subject. The most important thing to keep in mind while attempting any Accountancy homework is to read the question thoroughly. By reading the question thoroughly what I mean to ask you to do is to read the question again and again until you get a thorough understanding of what has been written. Once you understand the question, tackling it and solving the problem will be no less than a piece of cake. The next thing you need to do so as to solve Accountancy homework with utmost precision is to visualize the problem that you’ve been told to solve. Once you start visualizing the situation, the question seems to be less of a problem and more of a situation that you need to deal with. Once you picture the situation, your presence of mind will step in and help you in thinking efficiently. Once efficient thinking kicks in, solving problems are bound to be no issue at all. Apart from these main two points to keep in mind while attempting any question, the thing to keep in mind while understanding problems for first time is paying attention in class and making notes. Making notes does not always mean scribbling down anything and everything, it means that you’re jotting down the things that you think is important. These important points might just save your day later! While attempting the accountancy problems, you have to make sure that you put your 100% concentration in it. While calculating stuff, if you do not invest your full concentration, you are bound to make mathematical errors which can cost you a lot of marks. Since your accountancy homework calls for a major part of your concentration, you have to make sure you attempt it in a quiet place. Once you choose your own little quiet place to be in, you might as well start your sum or accountancy problem. The quieter the place is, the more you’ll be able to put your full focus on it. As much of a silly remark, it might now seem to you while doing your accountancy homework; this is an absolute must. Your phone filled with all kinds of social networking sites that are present is sure to barge in between your thoughts with all kinds of numerous notifications. These notifications are enough to divert your attention from your accountancy homework which is something that we’re trying to avoid desperately. Focus is something you cannot afford to lose. While you attempt at solving a certain accountancy problem, you must not get hyper and haphazardly try and solve it in any way. You must retain your calm, read the question, process it in your particular way and then go on to visualize it as a situation before moving on to its calculations. Once you move to its calculations after that do them with complete concentration which will help you refrain from making any silly mistakes that can go on to cut your marks. As you all might know, the key to scoring well in mathematics is the full focus and rechecking the paper. This is the same for accountancy as well. This is because in accountancy, like math, the same amount of concentration is required. No matter how brilliant you might be, you are bound to make some errors and rechecking the paper helps you correct all those probable errors that might go on to make you lose marks in the long run. Rechecking papers never go in vain because the more you check it, the more chances you get to correct your errors or affirm your correct answer.